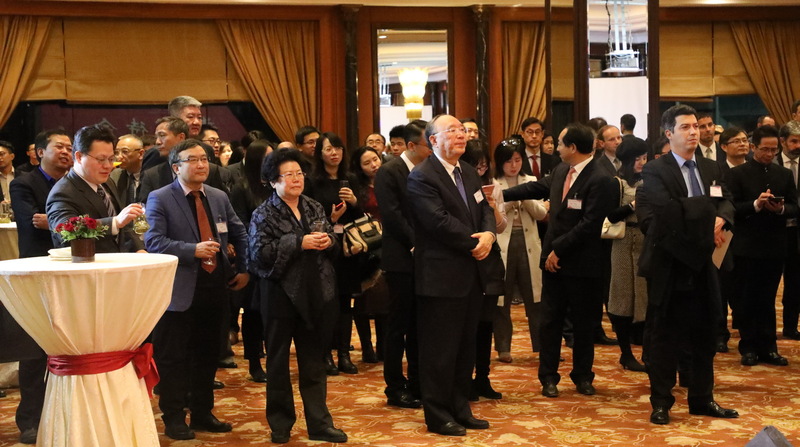 On January 23, 2019, CCIEE held the 2019 Spring Festival Reception at the St. Regis Beijing. Zhang Xiaoqiang, Executive Vice Chairman of CCIEE and director of the Executive Board, CCIEE Vice Chairmen Wei Jianguo, Zhang Dawei and Huang Qifan were also present at the reception. On behalf of CCIEE Chairman Zeng Peiyan, Zhang Xiaoqiang expressed his gratitude to the diplomatic envoys, representatives of international organizations, relevant government departments, business circles and think tanks. 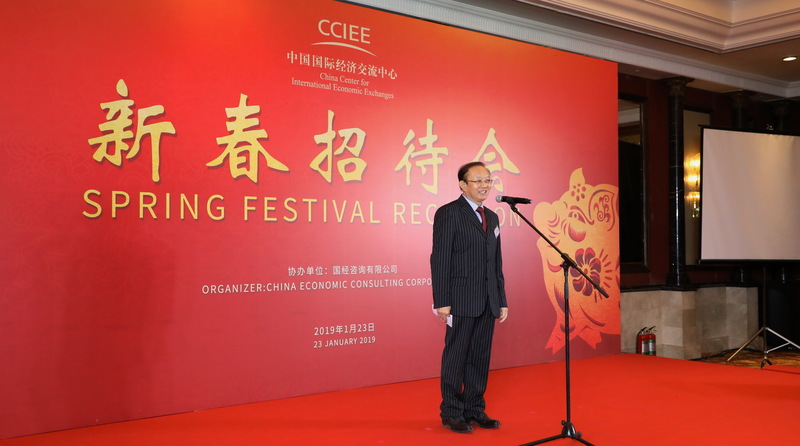 Moreover, he briefly introduced the achievements made by CCIEE in major research and exchanges in 2018. 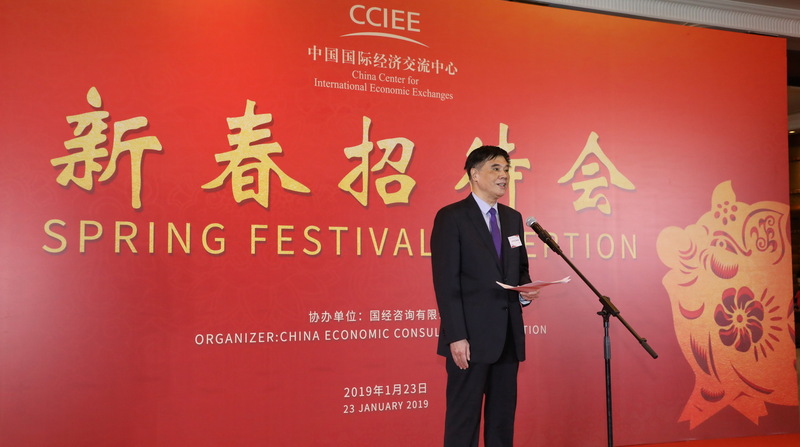 He said that CCIEE will continue to conduct research on major issues in 2019, strengthen exchanges, and further promote cooperation with other international institutions to enhance the welfare of China and the people of all countries. 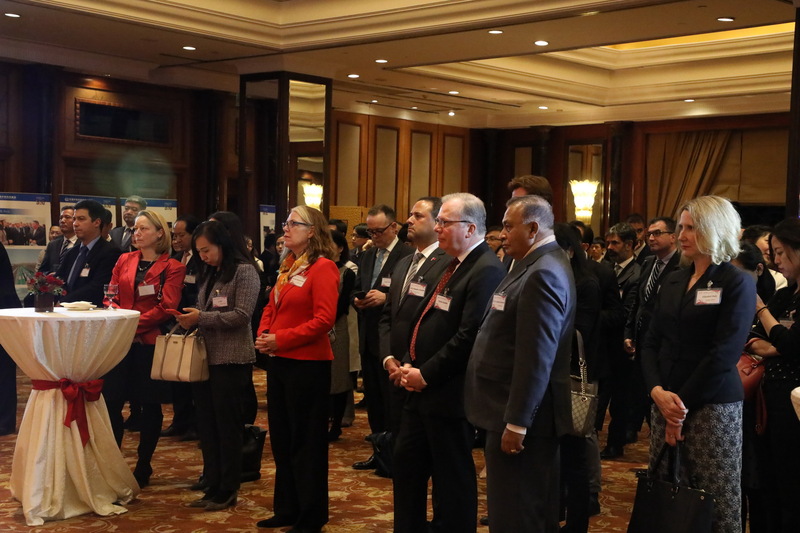 The reception was presided over by Vice Chairman Wei Jianguo, more than 180 people from the business community and think tanks attended the reception, including diplomats from nearly 40 countries, and representatives from international organizations and relevant ministries of the Chinese government.